My house looked very barren after taking down my Christmas decorations, so I whipped up this heart garland using a my trusty paper punch and a stack of old magazines. I wanted my hearts to be in shades of red and pink, so I found pages with those colors and in no time I had a pile of paper hearts. I took the hearts to my sewing machine and just started sewing them together to make my garland. I had so much fun with this project that I made an extra 12 foot long garland to give to one lucky reader! To enter just comment below and leave your email address so I can contact the winner. You can get a second entry by linking to my blog, and commenting a second time letting me know you did this. I'll pick a winner at noon on Monday, Jan. 11th! and would love to win one!!! soooo cute. spice up this little apartment thats for sure. Oh what a lovely idea! I didn't like taking all my garlands down and being left with bare walls! This would look awesome on one! Not only is this a simple idea, it's an awesome recycling idea! I'm a magazine addict so this is a perfect idea for me! Love it! So cute! I would love to win! cant wait to see who wins! What a great & simple idea! I still have not put away all my Xmas decorations, because it's too depressing to be left without anything colorful or glittering... & because I'm overwhelmed by work! I'd love to win this garland to cheer me up, and also because Sweetheart' s birthday is on Feb. 15! Wow thats very creative! I never would have thought of sewing them together. Cute idea! I will have to dig out my punch! How cute! I'm going to have to give this a try. This is soooo cute! I need to get a heart punch just so I can make lots of banners that look like this! I just stumbled across your blog....you have such wonderful ideas! I need to get a heart punch. Just came across your blog through craftig.com! Darling! I love it. I need to get on the Valentine Decorating bandwagon soon! I would LOVE to win. How cute is it?!?! I love your garland! I'll cross my fingers! I love the crafts you post... most of them are so simple to construct but beautifully elegant! Wow, that is so elegant and gorgeous! You bet I'll be linking! That's so pretty! I like how it's translucent a bit, hanging in the window. I've never sewn paper before (gasp!) but you've encouraged me. I have followed you for quite some time and am always amazed/impressed with your creativity - and your ability to make something so simple so elegant! I love this! I'm bookmarking it to blog about closer to Valentine's day. So cute! I would love to win, but will make some of my own too. :) Thanks for the darling idea! So cute! I think it's time to cull some magazines for pictures! Great idea! Reason #379 why I need to get a sewing machine and learn how to sew! Adorable! Thank you so much for the welcome back comment. I'm excited about being back in the saddle! This is great and could be done for all holidays, like clovers for St. Patrick's Day or Eggs for Easter, maybe even different shaped ornaments or lights for Christmas. What about balloons for "ribbon" on plain gift wrap. It's great! Thanks for sharing! Hopefully you'll get some more takers! Tricia!! This is so cool.....very simple and yet so effective. Thank you for sharing!! I just discovered blogs online of fellow crafters-yippee!!! I just snuck out of the garage cleaning project to check if any new ideas are floating around. Must be quick before he notices... I love this idea! That's such a cute idea! 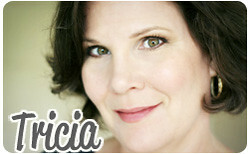 I just found your blog from howdoesshe.com and I've got it bookmarked to read from top to bottom! Missed the giveaway, but love this idea! I love the banner. I'm going to have to find that punch! Wow, I love it. just found your blog! I just love it! Valentine's Day decor can be so overdone, but this is beautiful and simple and perfect. Great project! Wonderful! I've got my 6 year old on the prowl through magazines now! What a great idea! And it's so easy! I LOVE this, I'm going to make some for my friends for Valentine's Day! So simple but so impactful. Thank you so much for sharing! did you coat the hearts in anything before sewing them together? or laminate them? Thanks for the simple idea. I'm going to make one of these for my classroom! Very cute idea! Easy too. Such a great idea - I had never thought to use the sewing machine on paper! gorgeous! i may give it a try soon! What a fabulous idea!!! Thank you so much for the how-to and a chance to win one! Love it! I can make these for my two darling grand daughters and send them for Valentine's day! Wonderful and simple idea that would fit for a variety of occasions: St. Pat's, Easter, 4th of July, etc. Great way to recycle all those treasured magazines around the house. My 'Cricut' juices are flowing now and I think with a fancy stitch on my sewing machine I could make something hopefully as pretty as your heart collection. 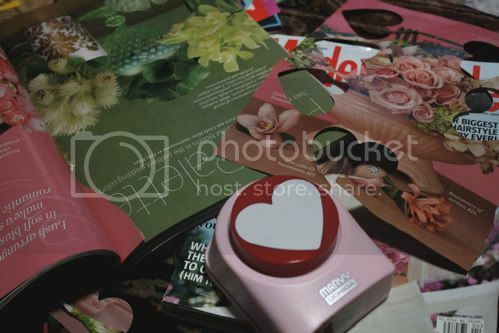 I'm off to Michaels this afternoon, 40% off coupon in hand, to buy my punch. And I'm a total sewing novice...is there anything I need to know before stitching them up? Do you just keep "sewing", even in the space between each heart? Very good idea and easy too! I love it. The house always does look a little sad & barren after we take down the Christmas decorations. I thought this garland was so adorable! So, I made two of them. I posted pics on my blog and linked back to yours as well. Thanks for the great idea!! this would be perfect for our "sweetheart's" birthday party. She's turning one! I'm not so sure sewing paper is the greatest way to treat my machine but that won't stop me from whipping one of these up! 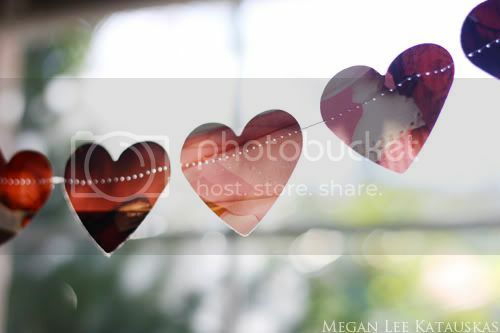 I wish I had a punch but perhaps irregularly shaped hearts would add a fun element to your garland. Thanks for posting! What a great project! Loved it and did it myself. I linked to you on my blog with some of my results! Thanks for the ideas. That is officially more awesome then I can say. 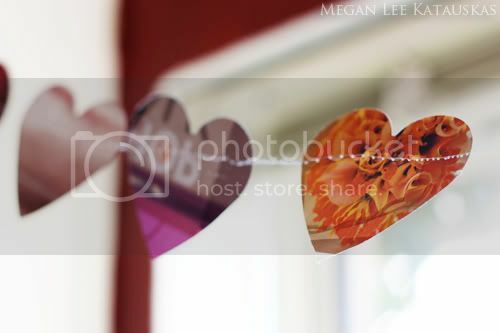 While I'm not into decorating for Valentine's, the project idea is certainly inspiring for other holidays & occasions! Fabuloso! Where did you get the dye cutter? I'd love to make a bunch of those, maybe in a star shape too. hey, new to your blog. you have cool stuff! creative! I will be trying this to decorate for work... as child abuse investigators we all need a little lift. Thanks for the idea. I'm sad I missed the giveaway, but I just wanted to say that this is such a cute idea! It doesn't look too hard to make either. Thanks for sharing!! Hi Tricia. I just love this garland. I think I'm going to have to make one for the grandkids. That is adorable! Love it!! 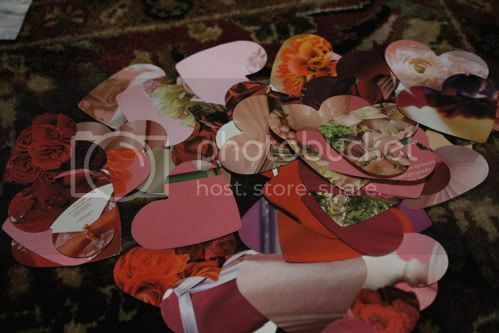 I just found an entire baggie of hearts I had punched last year, I know what I am going to do with them now! so cute! and who doesn't have stacks of magazines everywhere! This is an absolutely brilliant idea - I am definitely going to do this! Thanks! so very lovely.. you can never have enough hearts around. this is the perfect valentines project. I have a very big and ugly gap on my wall. If I can find a sewing machine this is going to fill it! Hope you're OK with the link. It is so so cute!! That is so awesome. 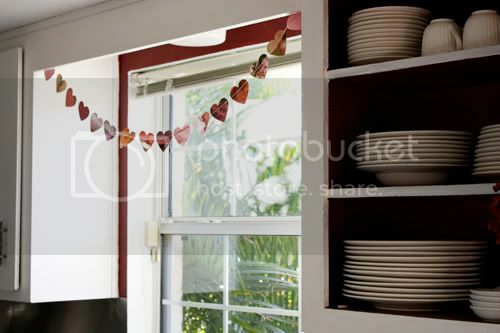 I googled Valentine garland because I just took down my Christmas decor and and ready to re-decorate! <3 it!! so cute...and love that you are recyling!